I started doing small projects when I was home for a few days from work after Connichi. The first project was a Vintage camisole. I bought the Intimacies Vintage Lingerie pattern from Nehelenia Patterns a while back (in 2014) but never started actually sewing something from it. Instead I started with the crochet part. See my blog entry to this here. 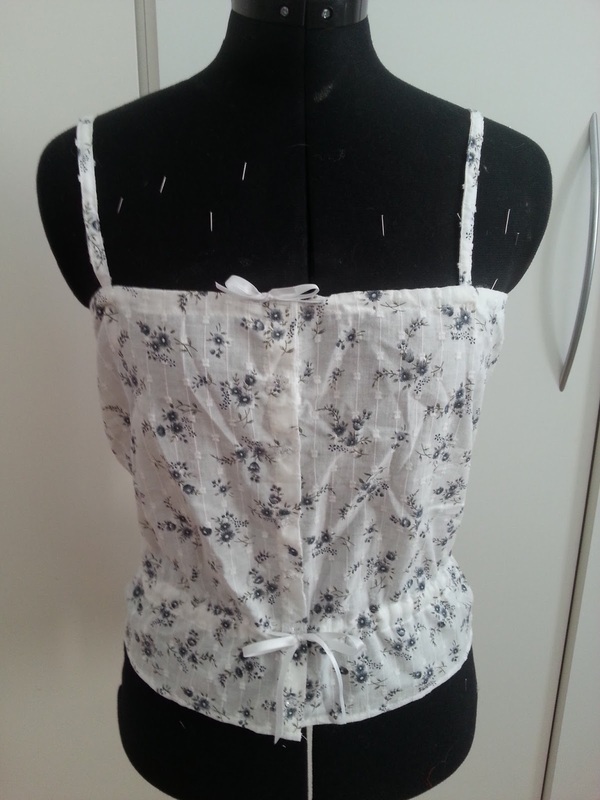 This time I started with doing a camisole. 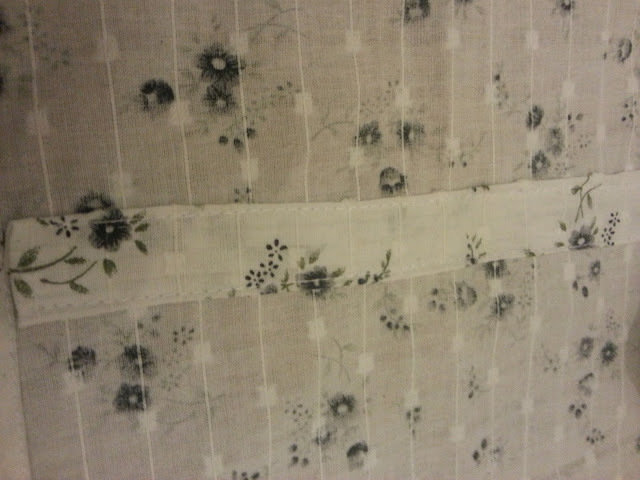 I wanted matching tap pants with it but my fabric was too small. I bought the fabric in Korea and therefore had no chance to get my hands on some more. 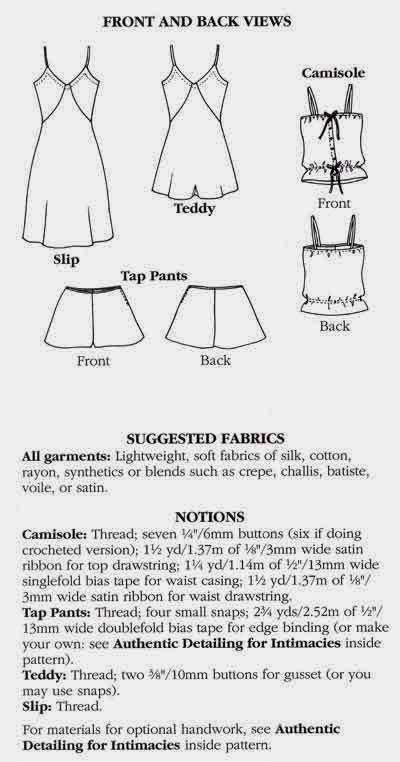 So only a camisole it was. 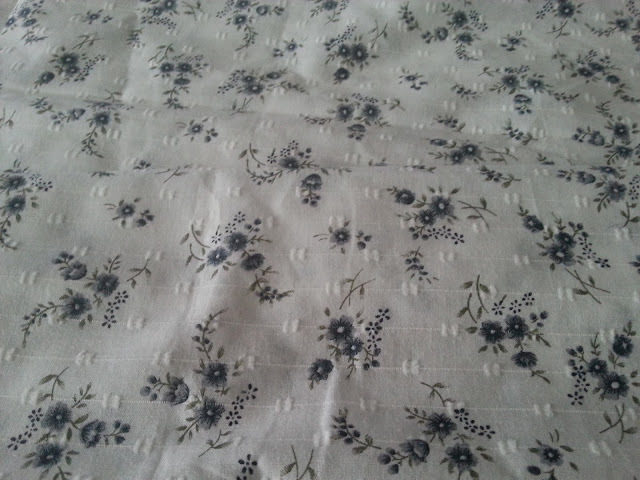 This was my fabric of choice. I still think it is super cute. 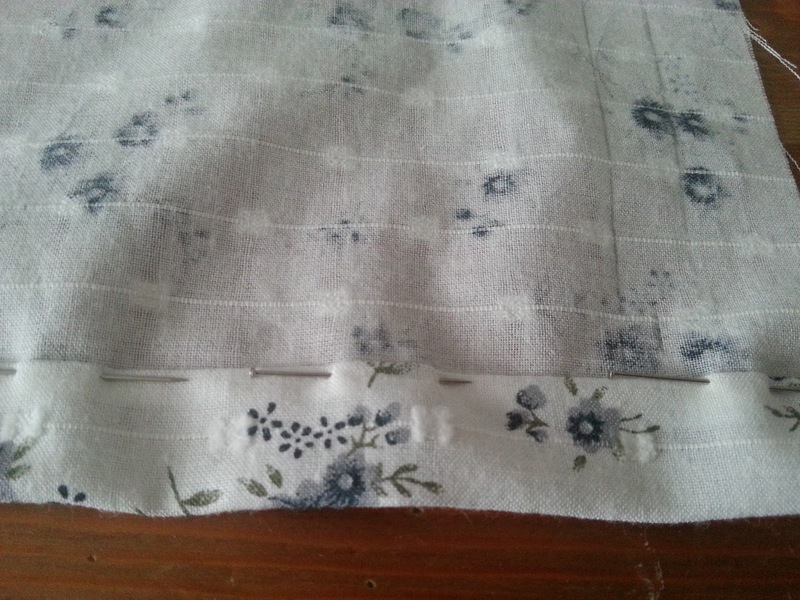 I cut out all the patterns and tried not to curse American patterns because they always include seam allowance. 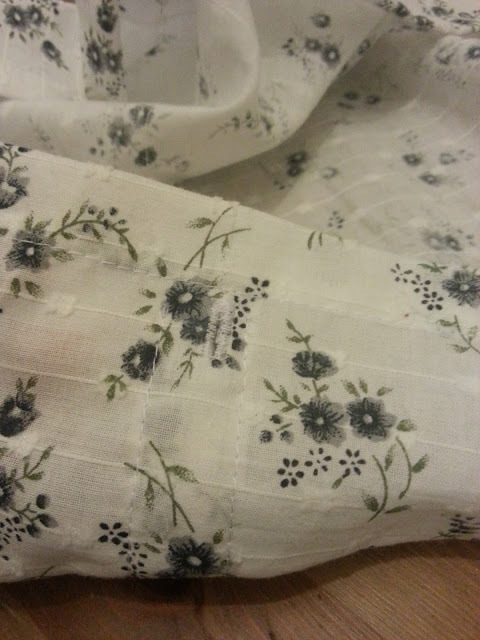 And this one had a 1/5inch or 13cm seam allowance included. Imagine my fun measuring 13cm. 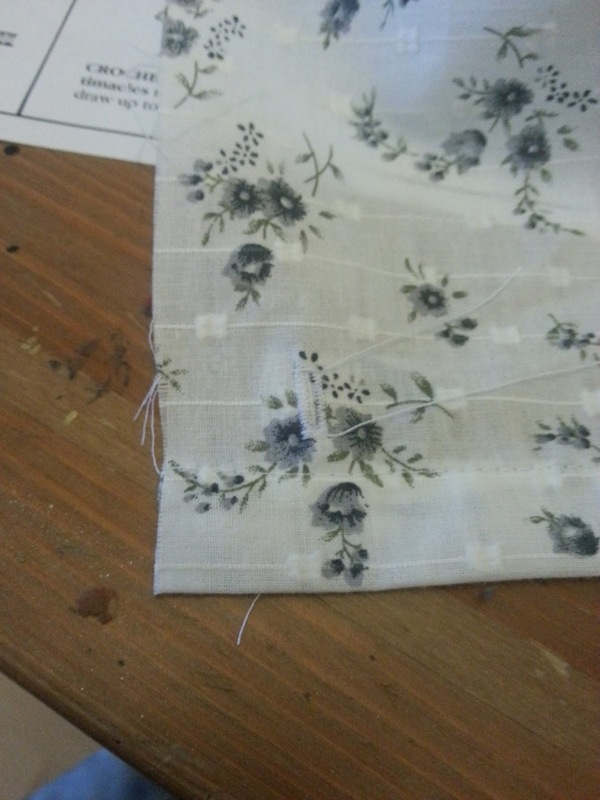 The bottom was folded and sewn in place. At first I didn't really know what the instruction wanted from me but and made a huge mistake. But after correcting that everything went smoothly. 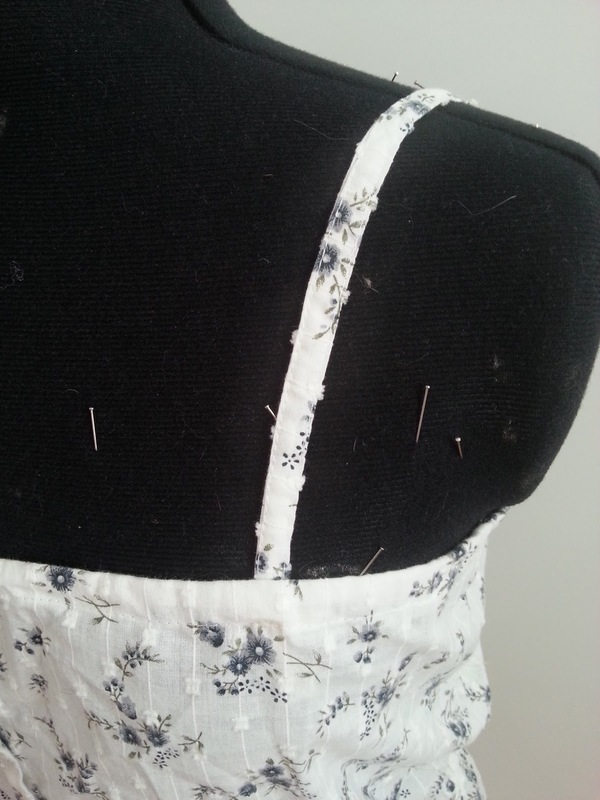 The smaller lines on the camisole are the tiny buttonholes. 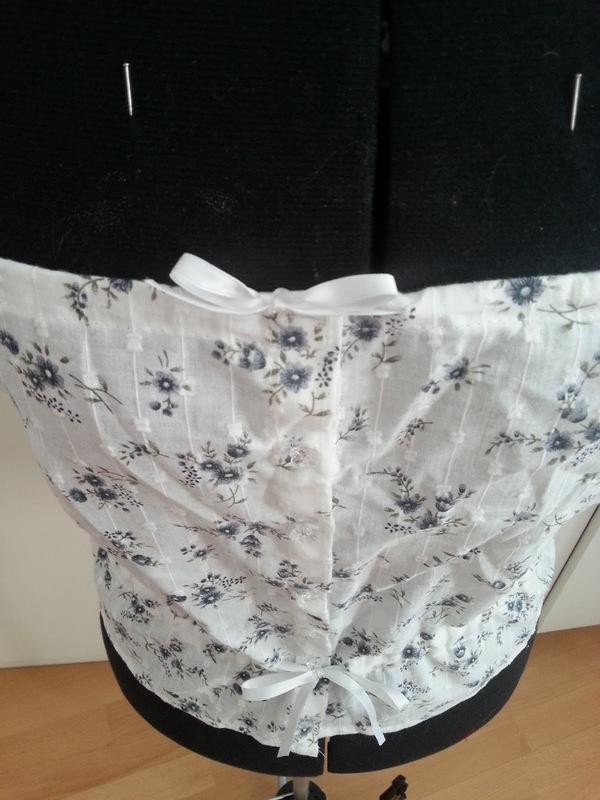 The fabric was too thin and therefore I added some stability with iron-on interfacing in small strips. I had to cut the strips on the picture a few times to get the size I wanted. The buttonholes were no problem with the machine I am currently using. Sorry for the blurry picture. A small strip of fabric was added inside as a tunnel for my waist ribbon. 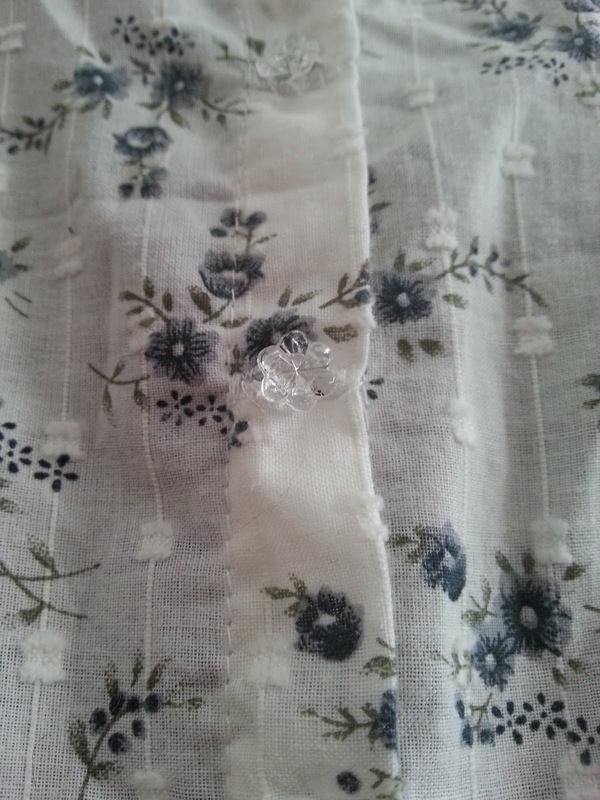 The ribbon can be pulled to the outside with that clever place buttonhole. They are not visible once the ribbon is outside. 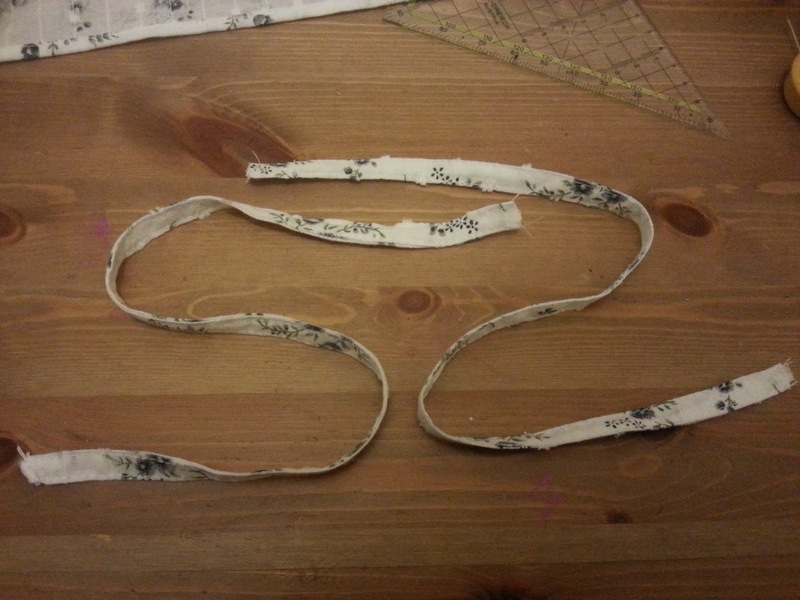 I made the straps with the exact measurements of the pattern guide but they were waaaaay to big for me. And these were my buttons I used. 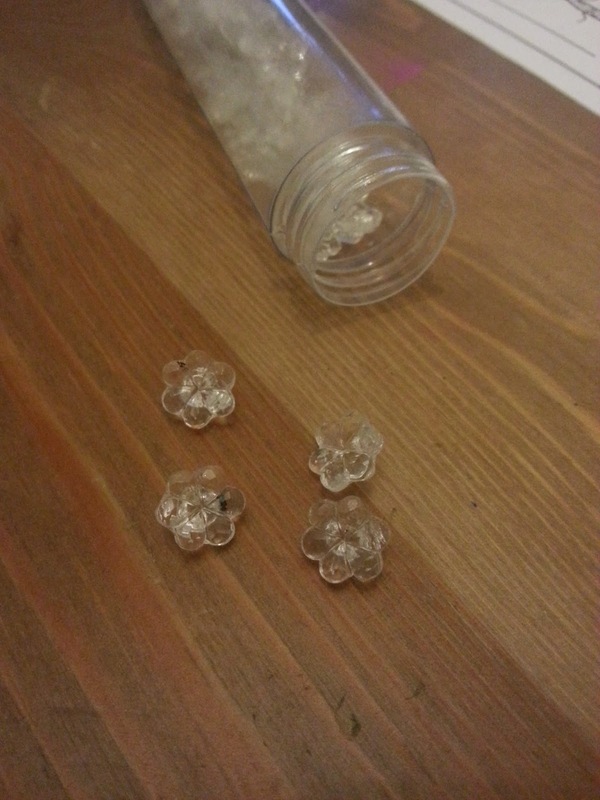 Tiny flowers for a tiny flower print. 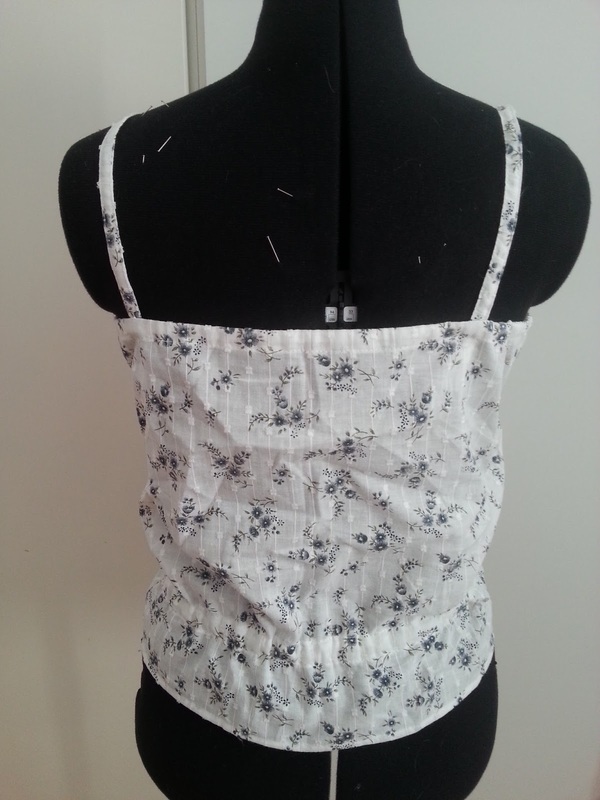 Here is what the camisole looks like now. 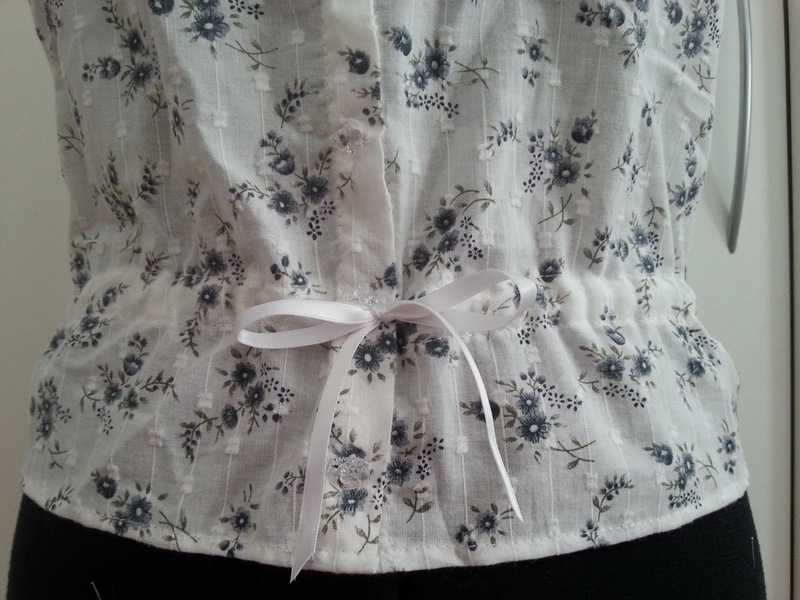 I am still thinking about adding lace at the top but all in all I am quite satisfied. 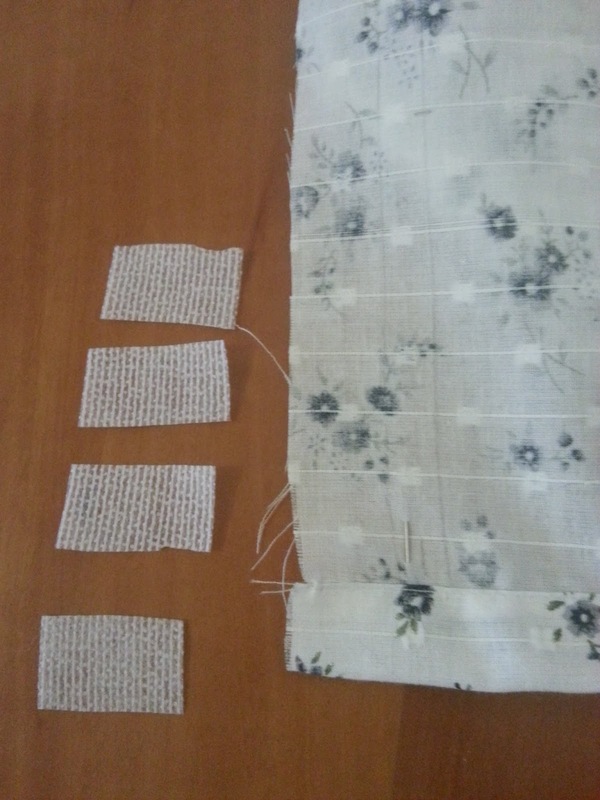 Time needed: Over the span of 12h I made it with lots of breaks in between. Cost: about 2,5€ for the ribbon, I had everything else.